In recent years, social media and online platforms such as Instagram, Pinterest and Carousel have become a common marketplace for many startups companies to showcase their products. From year 2017 onwards, in addition to submitting numerous links of infringing products to eBay, Alibaba complaint centers for immediate takedowns, Halo has started making waves on other online platforms such as Facebook and Carousel. 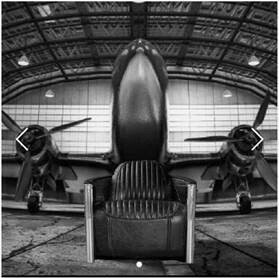 Recently, Halo has agreed settlement terms with a Singaporean company (“the Company”), whose main marketplace is Instagram, Carousel and Facebook selling copies of the iconic Tom Cat Chair, Globetrekker Aero Side Table and Valkyrie Desk using the trade description “AVIATOR” series. Although the Company does not manufacture the copy products itself, it has infringed the intellectual property rights of Halo by offering the copy products for sale in Singapore and globally online. Further, by mentioning “AVIATOR” in the product descriptions of the infringing products, Halo’s “Aviator” trademark for class 20 (Furniture) has been infringed. As a result of Halo’s complaint, the Company confirmed that it will cease selling and offering for sale certain products which infringe Halo’s registered design rights in Singapore and globally, as well as promptly taken down 25 infringing product links in Carousel, 24 posts in pand 26 posts in Facebook featuring the infringing products. Halo takes pride in its dedicated design teams and has a strong history of original and innovative design under the Halo brand. It is dedicated to protecting its product designs and trademark and will not hesitate to take action required to enforce its rights and protect ps intellectual property in all jurisdictions.